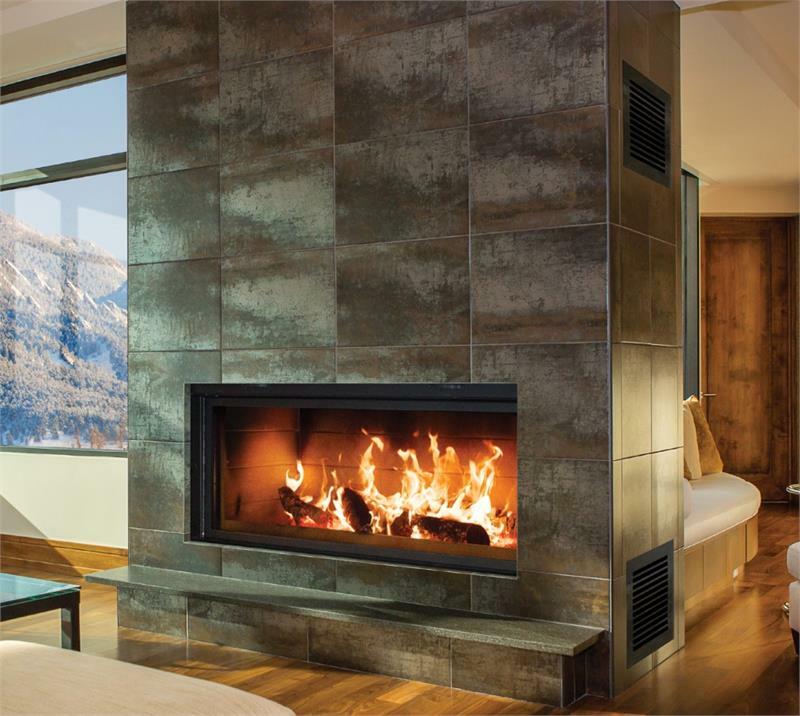 MODERN STYLE – With a glass viewing width of 46” and only 15 ½” tall, the RL50 Wood Fireplace is both stylish and modern. 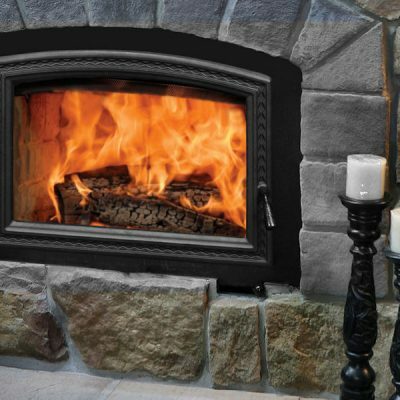 INNOVATIVE, STYLISH AND MODERN – With Renaissance Fireplaces, we strive to introduce people to wood burning in new and exciting ways and to preserve the nostalgia of a crackling fire that our customers expect. 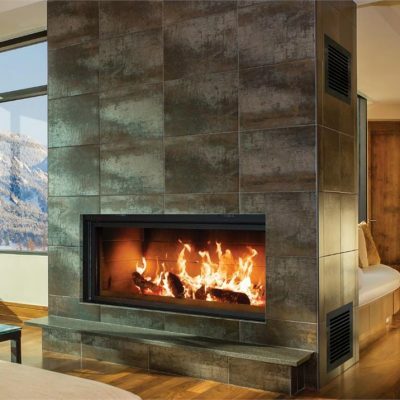 The wall-to-wall fire of the RL50 Linear Wood Burning Fireplace is an experience unlike any other. 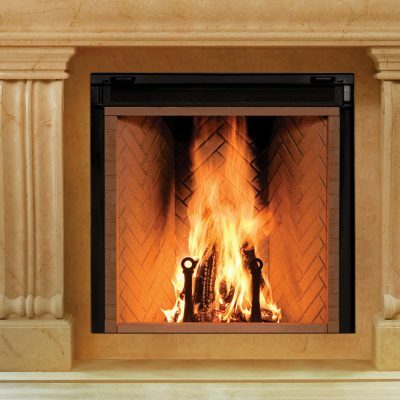 It’s common for the glass of wood burning fireplaces to become blackened after regular use, but the RL50 Wood Fireplace has an air wash system to keep it clean.You’ll enjoy a clear view of the flames even after multiple fires. 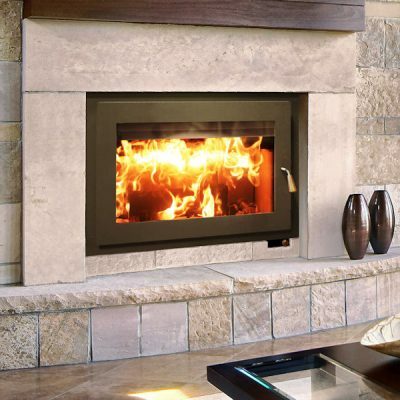 The Linear 50 is not specifically designed to be used as a heat source but incorporates a heat redistribution system (HRS) to help beat the chill. 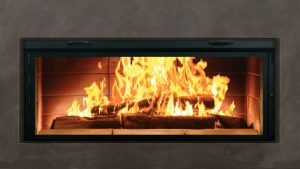 You can choose to heat the room with the fireplace or send the heat to another room.